After several years of economic recession that hit the automotive industry hard, most experts say they can safely say that the worst is over. The car industry has fully recovered as you can tell by the number of new models and versions they introduce each year. Although 2017 was an exciting year with many new releases and announcements, 2018 is promising to be even better. There have never been so many new models just waiting for the major car companies to present to the eager automotive public. From economy compacts like the all-new Ford Focus to high-end sports cars and luxury SUVs, every class is represented with updated new models. So, read on to learn more about 17 of the most interesting and highly anticipated models for 2018. For some models, it is easy to find plenty of official photos and specifications, but for some, there are only magazine renderings and sparse information. However, all these new cars will be on the road in less than a year, so now is the best time to get to know the class of 2018 in detail. Audi has updated the new generation of the highly-successful A6 and A7 models for 2018. 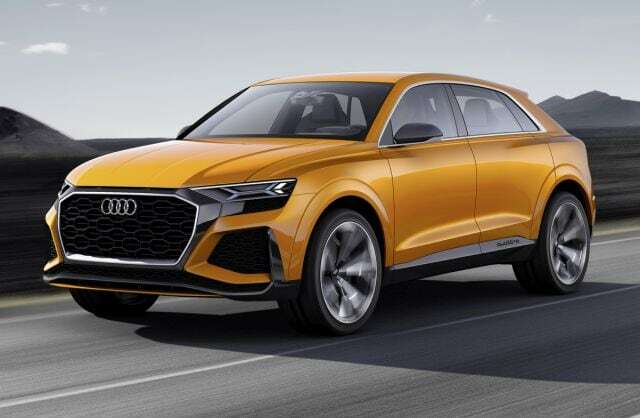 It will feature a new design with sharper lines, a lower roofline and the signature Audi big grille. Also, the new A6 and A7 will have a lighter chassis and possibly an aluminum body for weight reduction and improved performance. After the new A8, which they introduced earlier this year, you can expect similar turbo and supercharged engines for the A6, as well as some new drivetrain options. Almost certainly, the base A6 will be front-wheel drive and the Quattro AWD system will be optional. The more powerful versions will come with AWD as standard. Recently, Audi announced it is thinking of introducing a new way of naming models according to the engine power. If this new nomenclature gets the green light by company management, you can expect them to introduce the new Audi A6 and A7 in 2018.